Share the post "RCE Water Resources Program Develops Green Program to Aid Coastal Communities in New Jersey"
RCE Water Resources Program logo. Flooding, even from small storm events, has been damaging the quality of life of New Jersey’s residents. Based upon a preliminary land cover analysis of New Jersey, 12.1% of the state is covered with impervious surfaces. This translates into 1,055 square miles or 675,200 acres of impervious cover in the state. 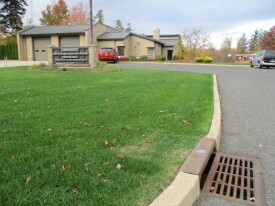 It’s estimated that during a one-inch rainfall event, 18.3 billion gallons of stormwater drains from these surfaces. Many of these impervious surfaces are directly connected to local waterways, meaning that every drop of rain that lands on these surfaces drains directly to a stream, river, lake, or bay without any treatment or having the opportunity to infiltrate into the soil. Pollutants accumulate on these impervious surfaces and are washed directly into waterways during storm events. In addition, these impervious surfaces prevent rainfall from infiltrating into the ground to replenish the state’s aquifers. Limited infiltration of rainwater results in reduced base flow to the local streams that rely on groundwater during the dry summer months. The impact from impervious surfaces can be reduced through the use of green infrastructure. Understanding a municipality’s impervious cover is the foundation for green infrastructure implementation. Over the past year, the Rutgers Cooperative Extension (RCE) Water Resources Program, with support from the New Jersey Sea Grant Consortium, has developed impervious cover assessments and impervious cover reduction action plans for coastal communities throughout New Jersey. These municipalities include Keyport, Long Branch City, West Long Branch Borough, Tinton Falls, Eatontown, Ocean Township and Lakewood. This project was developed to help communities reduce the impacts of stormwater runoff from impervious surfaces. The impervious cover assessments (ICA) identify the amount of impervious cover in each municipality and the runoff volumes associated with impervious cover for the New Jersey water quality design storm, 2-year design storm, 10-year design storm, and 100-year design storm. These reports conclude with the number of acres that should be disconnected to realize a significant reduction in runoff and pollutant loads. The assessment also provides several examples of potential locations where impervious cover can be reduced or disconnected. In addition, an impervious cover reduction action plan (RAP) is being completed for each of these communities. An impervious cover reduction action plan is meant to provide the municipality with a blueprint for implementing green infrastructure practices that will reduce the impact of stormwater runoff from impervious surfaces. These projects can be implemented by a wide variety of stakeholders such as boy scouts, girl scouts, school groups, faith-based groups, social groups, watershed groups, and other community organizations. Any municipality can quickly convert this impervious cover reduction action plan into a stormwater mitigation plan and incorporate it into the municipal stormwater control ordinance. 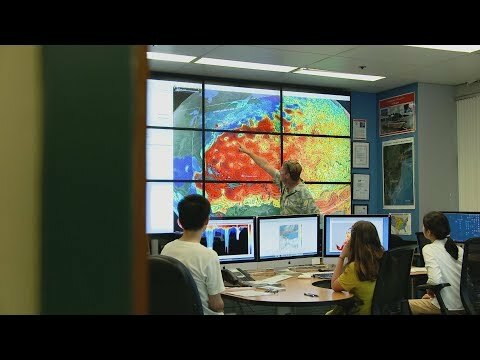 Working with local stakeholders and the New Jersey Sea Grant Consortium over the summer, the RCE Water Resources Program will provide access to the ICAs and RAPs on its website www.water.rutgers.edu. The RCE Water Resources Program has completed ICAs and RAPs for 54 municipalities within the Raritan River Basin and these are available on its website at www.water.rutgers.edu/Projects/NFWF/NFWF.html.